Microsoft Excel 2010 is part of the Microsoft Office 2010 productivity suite, and is one of the most popular software applications used by individuals and businesses all over the world. Whether you are a beginner or an intermediate user, this Microsoft Excel 2010 basics course will give you a thorough knowledge and understanding of Excel and its most important applications, so that you can boost your productivity skills in no time at all. Take advantage of this Microsoft Excel 2010 tutorial and learn how to navigate the revised version of Excel. We will help you explore the menu bar and teach you the different tasks that can be done with it. You will work on Microsoft Excel 2010 practical exercises and sample spreadsheets for basic math, adding and deleting columns and rows, and preparing the worksheet for printing. You will also learn how to represent your data visually to show trends, patterns and comparisons between the data in a chart, table or other template. 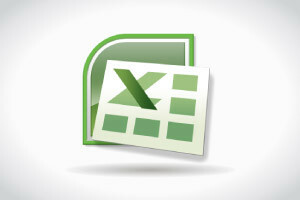 There are a lot of improvements and new features in the Microsoft Excel 2010 software. You can automatically do calculations once you add in the formula which makes it a great tool for analyzing data in accounts, budgets, billings, and many other areas. With this Microsoft Excel 2010 training course, you will learn to work with formulas and functions as well as use VLOOKUP to search through the data in the spreadsheet. You will also be able to a check conditions with the IF function, describe the save and run macros and calculate dates using formulas. If you learn the Microsoft Excel 2010 functions and use them to your advantage, then keeping track of your work and business schedules as well as stocks becomes much easier. The software is also useful for planning and tracking your personal and business finances so you’ll know if you’re within or above your budget. So start learning the Microsoft Excel 2010 new features with this Microsoft Excel 2010 training course and stay organized! Describe how to navigate Excel's menu. List the improvements and new features of the software. Explain how to create, save, prepare for printing and apply templates to a worksheet. Work with formulas and functions. - Use VLOOKUP to search through the data in the spreadsheet. Identify patterns and trends with conditional formatting, sparklines and charts. Apply a table to the data. Check conditions with the IF function. Describe the save and run macros. Work quicker with keyboard shortcuts.